Autonomous vehicles are coming, here’s why I look forward to them. Sure, they will have a huge impact on our daily lives, directly or indirectly, but these changes can be great for us. The first example is the driverless car: it can go to a given location without having someone controlling the wheel. It can go from point A to point B without a human to drive it: it uses several tools such as the GPS, video cameras and other sensors, plus a lot of computing things. Its cameras act much like us: they can detect road paint on the ground, sidewalks, ditches, etc. and therefore the car remains in the right place on the road. It identifies obstacles (other vehicles, pedestrians, etc.) and acts accordingly: slow down, turn around, stop, restart, etc. It works on existing roads, without them being adapted, and at the same time than other vehicles (autonomous or not). With an autonomous car, you will not need to concentrate on driving. You will then be able to do something else during the trip: reading, chatting, calling, watching a movie, sleeping, etc. Other vehicles than cars can be autonomous: transport, freight transport, deliveries, and so on. 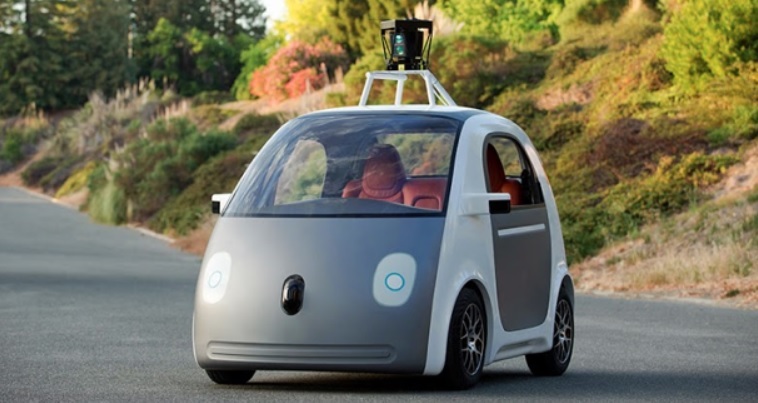 End of May 2014, Google demonstrated a new autonomous vehicle: it does not even have a steering wheel nor a pedal! Less fatigue, less stress. Driving is a stressful activity, which can be tiring. Once a journey is finished, we are usually more tired than before. With autonomous vehicles, it may be the opposite: nothing’s better than a nap to regain energy! Fuel savings and less wear of the car: the softwares that will drive for us are better than us to adjust the engine to the speed. They plan better: the brake pads will be less worn. Driving is softer, with fewer jerks: the car will last longer. Fewer accidents: the number of accidents will decrease because these autonomous vehicles will be better at respecting the traffic laws: speed, safety distances, etc. They have better reflexes than us. But above all, when they become widespread, additional intelligence will appear: vehicles will communicate with each other to adjust their speed and optimize their way through the crossings. Actually, they’ll be smarter on the roads. For many people, the car is mainly a source of stress and costs than an object of leisure. Driving is not an activity that interests me, although I can understand that this is the case for others. In fact, owning a car is a pain in the a*s (pardon my French). Its use rate is very low, a few tens of minutes per day on average. It must go regularly to the mechanics. Many checks must be ensured for security reasons (levels wear and tire pressure, condition, light bulbs, etc.). It’s not always fulfilling my needs: I have a minivan that is suitable for my family travel (I have several children), but not to my trips home – work or when going on holiday (we must add a roof box) or for the back and forth at the waste disposal. With autonomous vehicles, it will be very easy to generalize the rent: you will just have to order it with your smartphone, specifying when and where you want it. The vehicle will then come by itself. We will have a vehicle only during the time we need it. And this is the right vehicle that will come: a small car to go to work, a minivan to go on vacation with the family, a utility to go to the dump, etc. It will not be necessary to build so many vehicles, because their use will be so highly pooled. We will consume fewer natural resources. Vehicles being used more intensively, they will be replaced sooner by more efficient versions, consuming less energy. We will have less « old bangers » highly polluting on our roads. Of course, as with anything new, all is not perfect. What are the problems of these autonomous vehicles? Companies that will rent these autonomous vehicles will learn a lot about you just by studying what types of vehicles you use, when you use them, what paths you take, etc. Like all personal data, they could be used in a perverted way. Let’s hope that the legislation will have grown to better protect ourselves by then. This problem is broader, and applies to all connected devices. 2. Fewer vehicles = unemployment! That is the eternal refrain accompanying technical innovations: it eliminates jobs, it creates unemployment. As usual, this is a short-sighted view: if indeed there will be a fleet reduction through mutualisation of vehicles, and therefore a reduction of jobs needed to make them, there will be an increase in other types job: manufacturers of sensors, electronics, software developers, service jobs to manage rentals, websites and related applications, etc. As usual, it should rather see a job transfer and not a deletion. 3. Who is responsible in case of accident? Here is probably the number one issue on which there is still work to do. In case of accident, who is responsible? Perfection does not exist, there will inevitably be accidents. Either because of computer bugs, hardware deficiency (remember the disappearance of the plane of Air France flight 447 Rio Paris that may have been caused by a faulty sensor), unforeseen external elements, etc. Zero risk does not exist. We will have far less accidents with these new systems, but not a complete disappearance. It is therefore necessary to think today about how to manage this problem. The global cost for society will be a lot lower than the current one. Are you ready, you, to get into an autonomous vehicle and let you drive by a machine? Adoption rate may be low at the beginning; the system will have to prove its value. It will inevitably take some time before we accept these systems, but they will be used more and more and our trust will build up. The first autonomous vehicles are allowed since 2011 in a state of the USA (3 more in the following years), and France is to get started. The first real scale tests started, you will soon cross your first autonomous vehicle … and maybe even ride it!